Week 3 was a grueling reminder to fantasy footballer owners of how tough it can be to play this game. You spend all off-season studying up on your favorite players, you draft well and then you are hit with injury after injury, leaving your team depleted and unproductive. 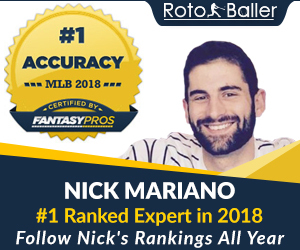 There were many talented players who sat out this past week that it was a big reminder as to why you have to work the waiver wire at all times in order to stay competitive. I split this article into a few different sections. Waiver wire priorities will range from players you should try to add with some urgency all the way to players you should keep your eye on, but don’t make the move just yet unless you are in a deeper league. I’ll also sprinkle in a few guys you can potentially move on from. 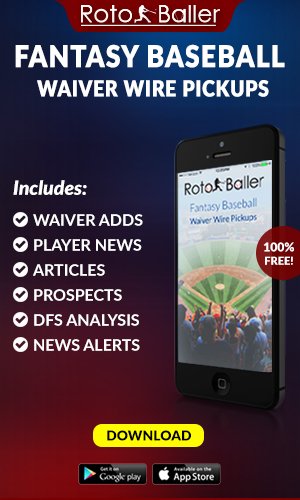 Check here for a complete list of our Waiver Wire Adds for Week 4 for help at all the skill positions. 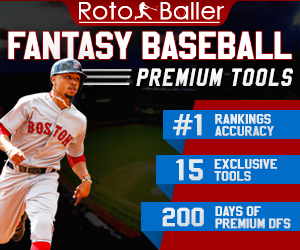 As always, RotoBaller has you covered! This group consists of wide receivers that I would recommend adding if they are available on your waiver wire. Some are more viable for PPR formats, so take note of that. These players have either earned a greater workload due to injury/performance issues or have shown that they can be weekly contributors to their NFL teams. 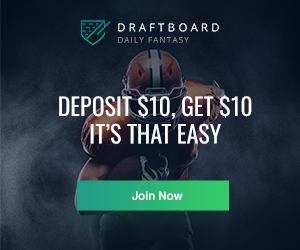 All players listed have 50% or less ownership levels across fantasy leagues. Let’s start off with the most obvious choice for this article. Ridley led the Falcons in all major receiving stats in Week 3 and while teams will continue to watch over Julio Jones closely, they will need to start committing more help to containing Ridley. In the past two games Ridley now has four touchdowns which is more than Jones had in all of 2017. Even if Ridley doesn’t deliver the catches and yards every week, he has a chance to deliver the touchdowns. Ridley will be the perfect bye-week fill in or injury replacement and during matchups like the one with New Orleans, where it could turn into a shootout, he would have even more value. I would like to welcome Tyler Boyd back to this article for a second straight week. Last week I only listed Boyd in the running, knowing that we needed to see more from the Bengals. Now he has moved into the front runners portion because he will have plenty of value the rest of the season. Boyd has 16 targets over the last two games and after A.J. Green went down with a groin injury in Week 3, Boyd stepped in and turned six catches into 132 yards and a touchdown. Andy Dalton appeared to turn into his former self with four interceptions against the Panthers but the offense as a whole has played well enough this season to convince me that Boyd will have good weeks ahead of him. Plus getting Joe Mixon back as early as next week will help balance the offense again. Also making a second appearance in this column is Antonio Callaway. Same exact spot as last week when I told you that he needs to be added now. Instead of being 6% owned he is now 33% owned but that still isn’t enough. It sounds like Baker Mayfield will be under center moving forward and that means big things for Callaway rest of season. Callaway didn’t jump off the page in Week 3, hauling in four catches for 20 yards, but he was targeted 10 times in the game, second only to Jarvis Landry. The biggest question is what could have been though? Tyrod Taylor underthrew Callaway two times on what would have been huge touchdown passes. Callaway had beat the defender by a substantial margin both times and if Taylor would have gotten the ball in front of him, the stat line would have looked much different. 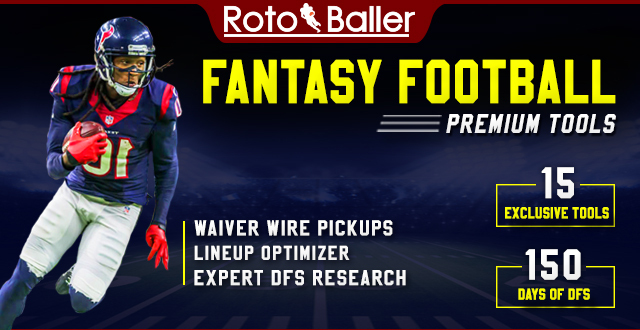 This group consists of wide receivers widely available on the waiver wire who aren't must-adds but could be worth stashing or streaming if the above options are already taken or if you are dealing with injuries. Cameron Meredith finally made it back onto a football field and was able to secure a touchdown in his return. My fellow Meredith truthers can finally rejoice in the fact he could have a decent role in one of the best offenses in the game. The touchdown was his only catch and target of the game, but baby steps are okay. The Saints defense has not been good, and I think we need to pivot from this being a bad couple of weeks to them just not being as good as what we saw last season. If that happens to be the case, then there will be plenty of targets to go around as he works his way back into the lineup. Ted Ginn is currently the WR2 on the Saints, but Meredith has the ability to unseat him after he gets his reps in. Prior to Week 3, Paul Richardson had hauled in at least four catches in his first two games of the season, but the big play had eluded him. In Week 3, the volume wasn’t there, but one catch for 46 yards and a touchdown was. With the way the Redskins receivers look right now, Richardson could end up being the best of the bunch. So far Jamison Crowder and Josh Doctson have done nothing to solidify a place atop the target totem pole, but Richardson’s big play ability might be all he needs to climb up there. Richardson is going to be streaky at times, but if he can become the WR1 in Washington, he will hold enough value to find a place on your roster. Alex Smith was able to support big play maker Tyreek Hill the last two seasons, and even though Hill is better than Richardson and this isn’t a comparison, he should be able to get Richardson the ball as well. This group consists of wide receivers who need some more time to show us what they have but should be on our radar still. Don’t jump to add them yet, but another week or two could prove to be fruitful. I have had Albert Wilson’s name down for the last three weeks to write about and every time I get ready to add him, I change my mind last second and go with a different name. Well, you are finally getting the call up Mr. Wilson because fantasy owners should be keeping an eye on you. Kenny Stills is the WR1 in Miami and even though Devante Parker made his return in Week 3, the Dolphins still need someone to be their WR2. Albert Wilson may have the inside track at that job after catching two balls for 74 yards and a touchdown against the Raiders and is now second on the team in receiving yards. Prior to the season the Dolphins made it known they planned to use Wilson all over to get him as involved as possible. True to that statement, Wilson even had a passing touchdown on Sunday. Keep an eye on this guy and see if he continues to add value as the season goes on. Andrew Luck and the Colts offense didn’t get going against the Philadelphia Eagles in Week 3, but they fought hard and maybe aren’t as bad as many people thought. The offense will always have the potential with Luck under center, but he is going to need some reliable playmakers behind T.Y. Hilton. Ryan Grant looks locked and loaded as the WR2 in Indianapolis right now. Grant is currently second in receiving yards on the Colts and also hauled in his first touchdown of the season in Week 3. Even though Hilton will always be the WR1, Grant is currently one of the more reliable pass catchers on the Colts right now while sporting a catch rate just over 86%. Grant is probably already worth a stash in deeper leagues, but we should be keeping an eye on him in all formats. This group consists of wide receivers who don't need to be owned. They aren't necessarily must-drop players, but if you need the roster space for one of the above players, don't hesitate to cut bait to chase upside. The time as the WR1 for the New York Jets is officially over and after another dreadful performance (two catches for 22 yards) it’s time that we officially move Anderson to waivers and let someone else try to hold onto him, hoping for some value to return. Sam Darnold has favored Qunicey Enunwa by a large margin and has even looked at Terrelle Pryor and Jermaine Kearse more. We should be moving on right away and looking at some of these candidates above.